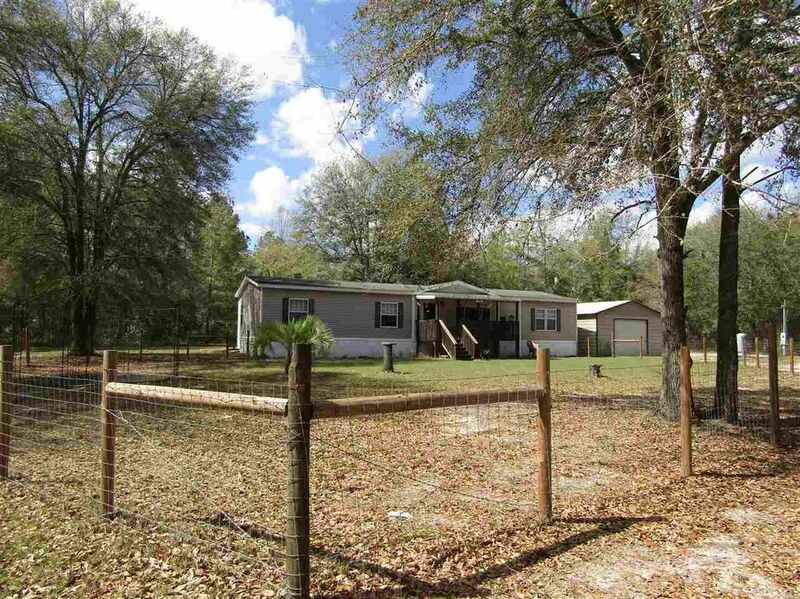 Surrounded with peace and quiet, this spacious home sits on 5 gorgeous acres way back off the road away from it all with great views of huge grand-daddy oaks and natural Florida woodlands with walking trails to enjoy! The home offers 3 large bedrooms plus a den/office, a front living room with a huge picture window to bring the outside in, a back living room with a wood burning fireplace, an oversized island kitchen plus a dining area with built-in cabinets PLUS a bench seat with more storage space. The master bedroom has room for king-sized furniture plus a generous walk-in closet and master bath with a separate shower and soaker tub to enjoy! You can relax on the covered front porch and enjoy the sounds of the birds and great views of the trees rain or shine - plus there is a 20' x 25' metal building / garage for your car or workshop out front and a carport out back - call today to make an appointment to see this property in person!